A classic Chandelier with spice. The Charlotte Earrings feature five tiers of exotic silver charms with glints of hanging crystal stones. 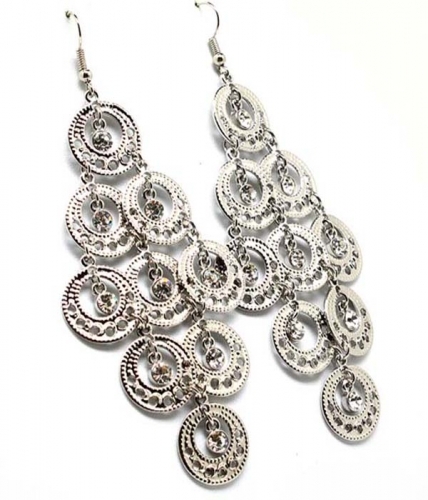 The ultimate day to night adornment for your ears.Great value, high quality and popularity all combine to make these chandelier earrings 'must have' items!